Your host at Jimmie Jack's Lodge: Jimmie Jack, Owner and Host. Over thirty-five years later, we are still on the Kenai River. My parents hang out at the river because I made my dad join the team and guide with me. And that has added so much to the fun. To me not much has changed other than our boats are a lot nicer, and the motors get us back up river faster. We all still hang out at the campfire and tell fishing stories like we did many years ago. We still get visits from friends and relatives. And most importantly, we still just love to fish the river, and spend time with each other. God is good, and we are very thankful to spend our summers fishing the Kenai River in big beautiful Kenai Peninsula in Alaska. 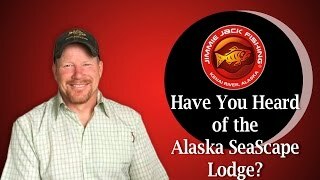 Fly-fishing experience at Jimmie Jack's Lodge: Welcome aboard! Jimmie Jack’s fleet of 12 vessels and his highliner captains will take you fishing daily. 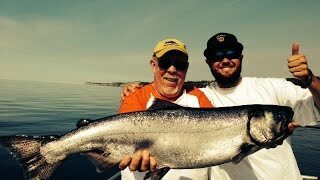 During your trip you can plan on catching Kenai River king salmon, silver salmon, sockeye salmon, halibut, lingcod, rockfish and trophy rainbow trout. Our lodge is centrally located on the Kenai Peninsula to all of our great fishing destinations, and boasts spectacular views of Cook Inlet and the Alaska Range. The two biggest fish ever caught at the lodge were a 345-pound halibut and a 76-pound king salmon. Think you can do better? Click here for quick link country. Jimmie Jack’s Lodge captures the true beauty of Alaska’s coastline situated on a bluff overlooking the pristine waters of Cook Inlet, this location offers you an awe-inspiring experience. Click here to view the lodge. To select and book the top suggested hotels and accommodation in the area when fishing at Jimmie Jack's Lodge, click here. by car or public transport to Jimmie Jack’s Lodge.